Notes and Nerds: 7 Fake Marvel Cereals You Wish Were Real! 7 Fake Marvel Cereals You Wish Were Real! Since as long as anyone can remember we have had breakfast cereals. Some breakfast cereals are very tasty and some not so much. 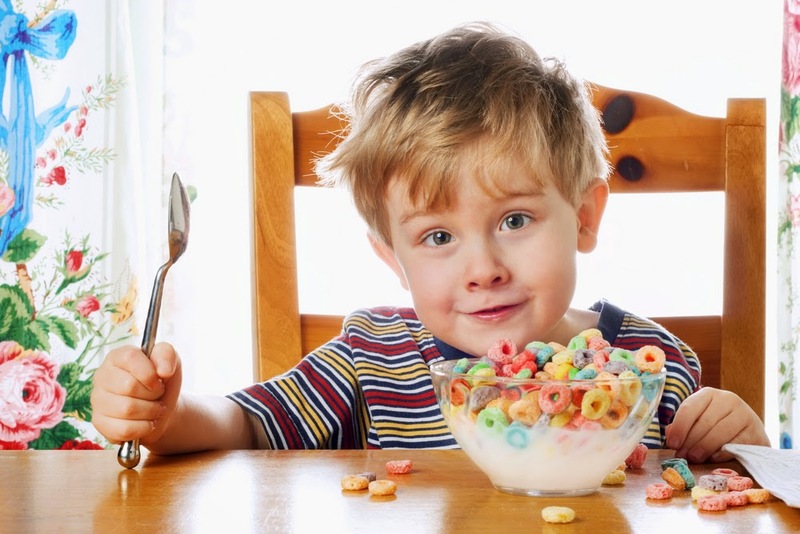 But when it come to cereals for kids they want great taste, a good visual, and a awesome toy inside was always good. 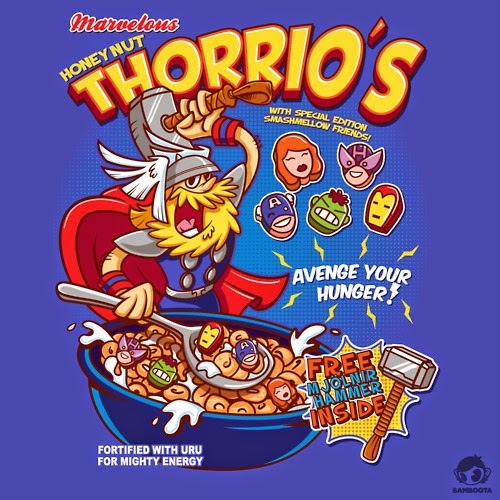 So we are doing "7 Fake Marvel Cereals You Wish Were Real!" and the reason why. 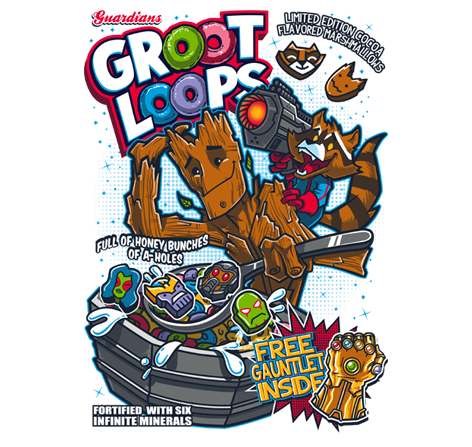 This Marvel parody of Fruit Loops using Guardians of the Galaxy. It has honey flavored fruit loops, marshmallow shapes and limited edition cocoa marshmallows shapes, and has a free Infinity Gauntlet inside. 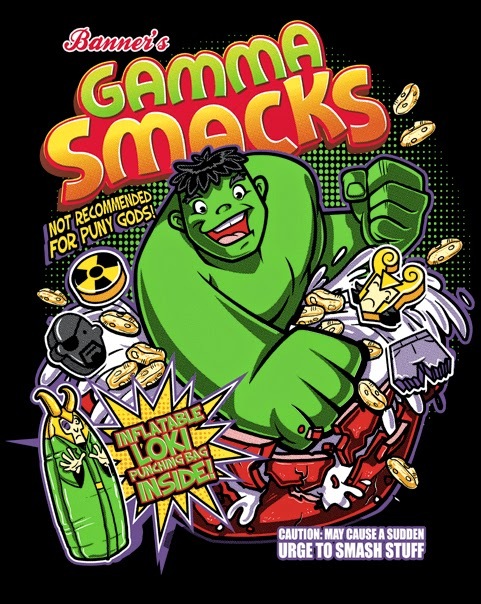 This Marvel parody of Honey Smacks using The Hulk. It has honey flavored puffs, marshmallow shapes, and has a free inflatable Loki punching bag inside. 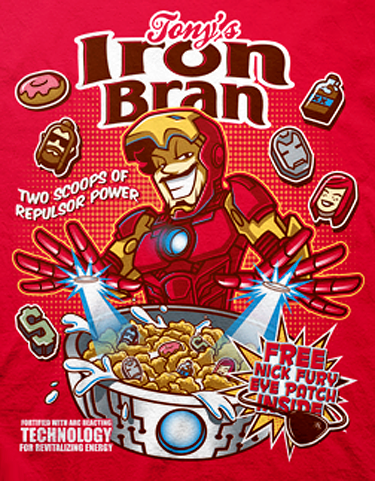 This Marvel parody of Rasin Bran using Iron Man. It has wheat flakes, marshmallow shapes, and has a free Nick Fury eye patch inside. This Marvel parody of Honey Nut Cheerios using Thor. 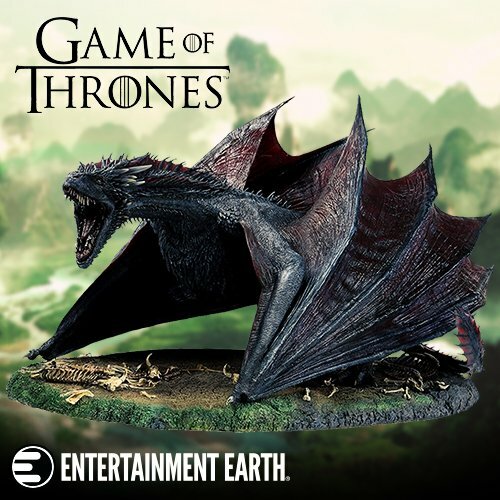 It has honey nut grain loops, marshmallow shapes, and has a free Mjolnir Hammer inside. 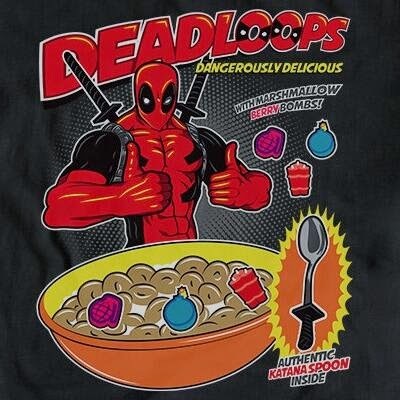 This Marvel parody of Cheerios using Deadpool. It has grain loops, marshmallow shapes, and has a free Katana Spoon inside. 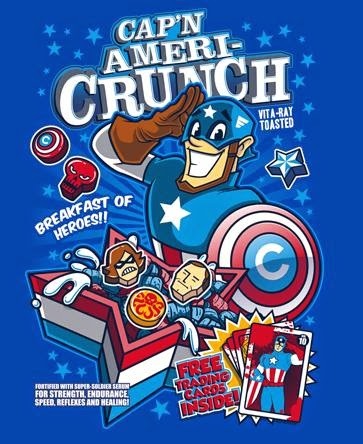 This Marvel parody of Cap'n Crunch using Captain America. It has berry flavored squares, marshmallow shapes, and has free Trading Cards inside. 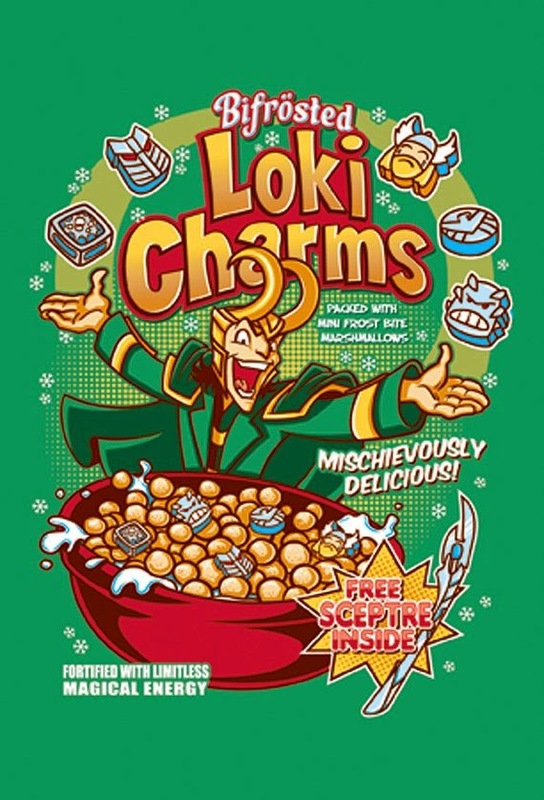 This Marvel parody of Lucky Charms using Loki. It has sugary puffs, marshmallow shapes, and has a free Sceptre inside.